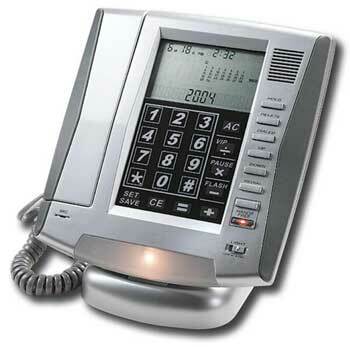 Innovage LCD touch-panel phone allows you to have all the functions you need in one stylish unit. Not only does this phone have a speaker phone and caller ID capabilities, it also comes with an electronic calculator, auto-dialing, and much more! This fantastic LCD phone is great for home or office. Requires 3 AA batteries (not included) to power LCD screen and nightlight. Caller ID feature requires local phone company subscription service.